The Concatenate block concatenates the input signals to create an output signal whose elements reside in contiguous locations in memory. The Concatenate block is useful for creating an output signal that is nonvirtual. However, to create a vector of function calls, use a Mux block instead. You use a Concatenate block to define an array of buses. 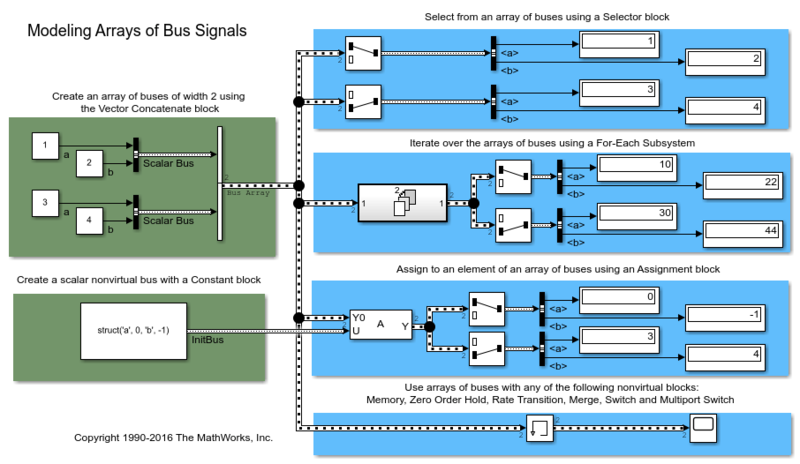 For details about defining an array of buses, see Combine Buses into an Array of Buses. The Concatenate block operates in either vector or multidimensional array concatenation mode, depending on the setting of its Mode parameter. In either case, the block concatenates the inputs from the top to bottom, or left to right, input ports. In vector mode, all input signals must be either vectors or row vectors (1-by-M matrices) or column vectors (M-by-1 matrices) or a combination of vectors and either row or column vectors. When all inputs are vectors, the output is a vector. If any of the inputs are row or column vectors, the output is a row or column vector, respectively. Multidimensional array mode accepts vectors and arrays of any size. It assumes that the trailing dimensions are all ones for input signals with lower dimensionality. For example, if the output is 4-D and the input is [2x3] (2-D), this block treats the input as [2x3x1x1]. The output is always an array. The Concatenate dimension parameter allows you to specify the output dimension along which the block concatenates its input arrays. For horizontal concatenation, the input matrices must have the same column dimension. For vertical concatenation, the input matrices must have the same row dimension. All input signals must have the same dimension for all dimensions other than the concatenation dimensions. First input to concatenate, specified as a scalar, vector, matrix, or N-D array. Inputs must be of the same data type. 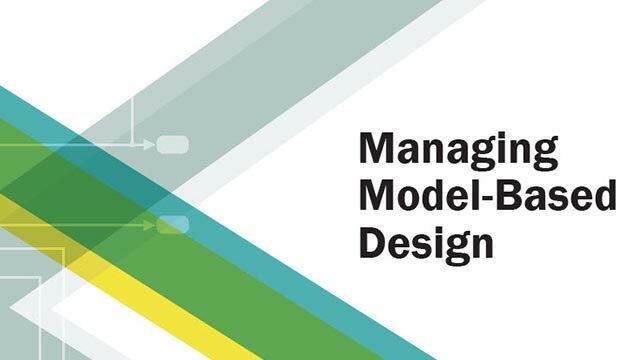 Matrix and N-D array inputs are supported only when you set Mode to Multidimensional array. Nth input to concatenate, specified as a scalar, vector, matrix, or N-D array. To enable this port, set Number of inputs to an integer greater than or equal to 2. Concatenation of input signals, along specified dimension. Outputs have the same data type as the input. Specify the number of inputs for the block as a real-valued, positive integer, less than or equal to 65536. Select the type of concatenation that this block performs. The default Mode of the Vector Concatenate block is Vector. The default Mode of the Matrix Concatenate block is Multidimensional array. When you select Vector the block performs vector concatenation (see Vector Mode for details). When you select Multidimensional array, the block performs matrix concatenation (see Multidimensional Array Mode for details). Specify the output dimension along which to concatenate the input arrays. To concatenate input arrays vertically, enter 1. To concatenate input arrays horizontally, enter 2. To perform multidimensional concatenation on the inputs, specify an integer greater than 2. To enable this parameter, set Mode to Multidimensional array. Perform a horizontal matrix concatenation with the Matrix Concatenate block. Perform a vertical matrix concatenation with the Matrix Concatenate block. Perform multidimensional matrix concatenation with the Matrix Concatenate block. For more information about HDL code generation, see Vector Concatenate.